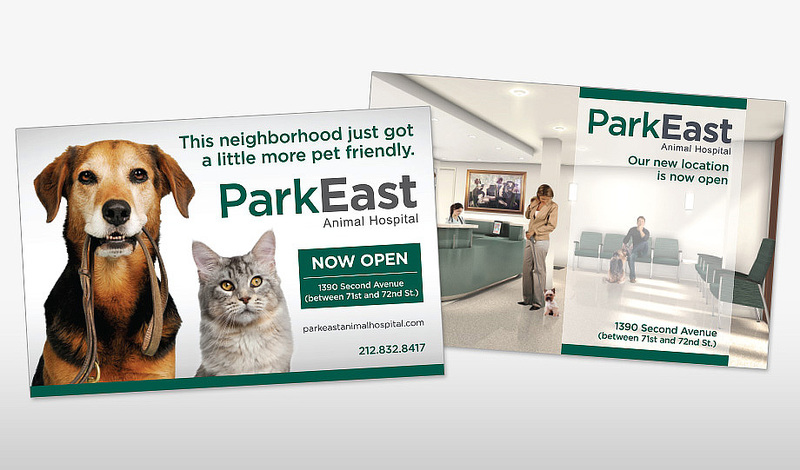 A few months ago, we were contacted about doing some work for Park East Animal Hospital, a vet clinic/hospital in NYC. They have an amazing heritage, and had been at their location for decades, but were moving into a new facility several blocks away. 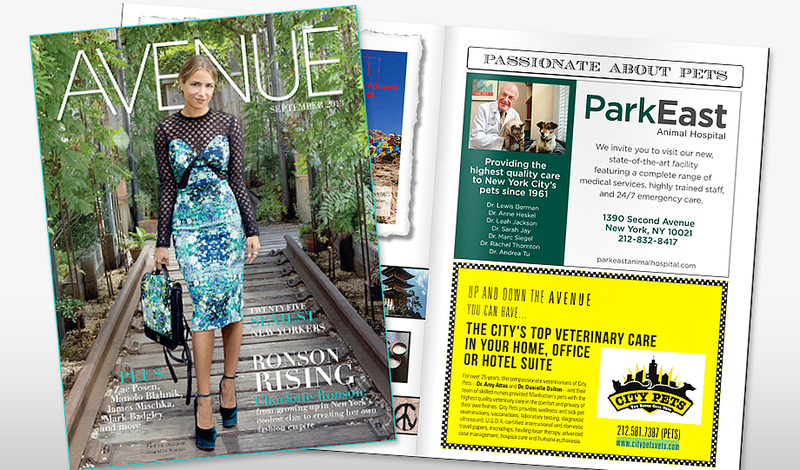 We were hired to refresh their logo (and accompanying materials like business cards, letterhead, etc), as well as help with promotional banners, brochures, posters, mailers, and ad in Avenue magazine. Because they have been around for so long and a fixture in their old neighborhood, they didn’t want to change their logo too much. 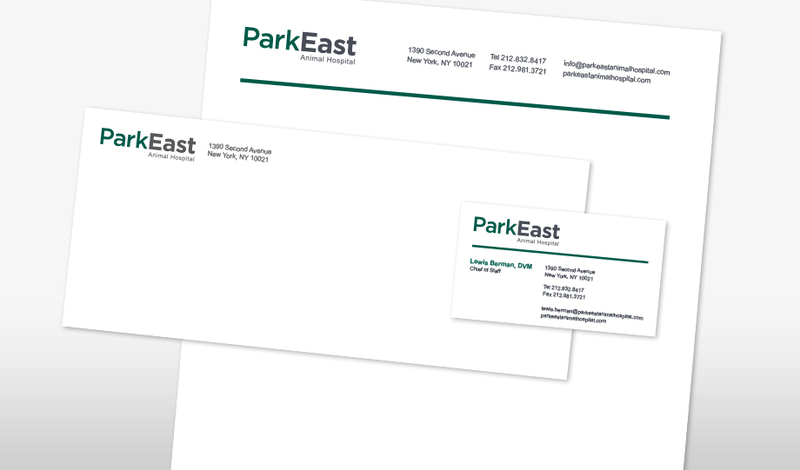 They wanted to be still recognizable and familiar to their old clientele, but also look current for their new potential clients. We updated the fonts and softened the black to gray, which satisfied both requirements. 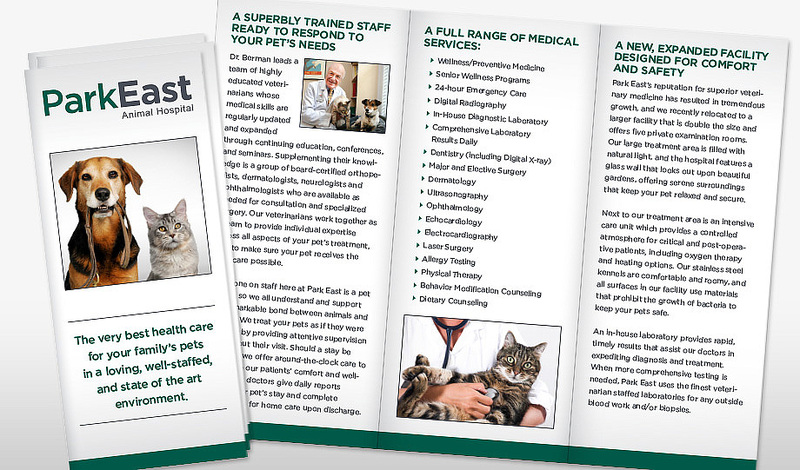 Their new facility is bigger and more well-equipped, and their staff is larger, so we wanted to show growth, but also communicate that the organization is all the same folks with the same commitment to your pet, just in a new location.